Whew, that was a wonderful month, wasn't it? Candy, ghosts, bats, monsters... Keith learned about them all! And now, to help recover from the sugar high, Pumpkin seeds are highly recommended. With a side of apples and carmel. 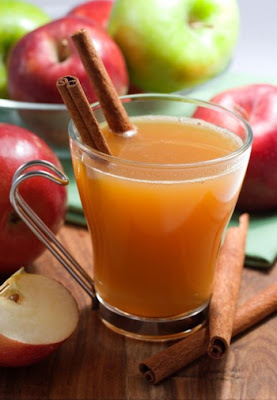 Enjoy with a glass of wassail. What do you do to calm down the blood from all that sugar? Is that for real? The pumpkin seeds calming down the affects of sugar?? will have to try that. wait, calm down the blood sugar??? dang, should have eaten them yesterday morning;-) based on my humungo first child my doc is convinced i am going to fail my glucose test. i told him i thought that was dumb and that he was wrong. guess we'll have to wait and see. Ooo, what is wassail? That looks delicious. Well, actually, I take insulin.